Erika Gisela Abad joined UNLV's Interdisciplinary, Gender, and Ethnic Studies Department in Fall 2016. While her primary training has been in Queer and Latinx Studies, working in customer service, Latino youth advocacy, and food justice has added to her initial insights on Queer Latinx individuals' representation in community building and social movements. Since 2017, Abad has presented at ClexaCon — an annual media and entertainment convention for the female LGBTQ community and its allies — and will organize its first academic lab in 2019. Extending her interest in queer women’s representation, her guest-edited issue of Sinister Wisdom is set to be published in late 2019. Before working in Las Vegas, she was a Chicago-based oral historian and ethnographer for the Center for Puerto Rican Studies. Her expertise has been published in Sounding Out, Latinx Talk, Women in Higher Education Newsletter. Abad is also a well-published essayist, poet, and fiction writer whose creative works have been published in Sinister Wisdom and Crab Fat Magazine, among other venues. As a gay Latina growing up in Chicago, the only time Dr. Erika Gisela Abad would see someone like herself on a television screen was if she happened to catch her reflection. On Oct. 14, the CW network debuted its transgender “Supergirl” character Dreamer/Nia Nal and the University of Nevada, Las Vegas gender and sexuality studies professor Dr. Erika Gisela Abad has given her insights into the character and its portrayal by transgender actress Nicole Maines. 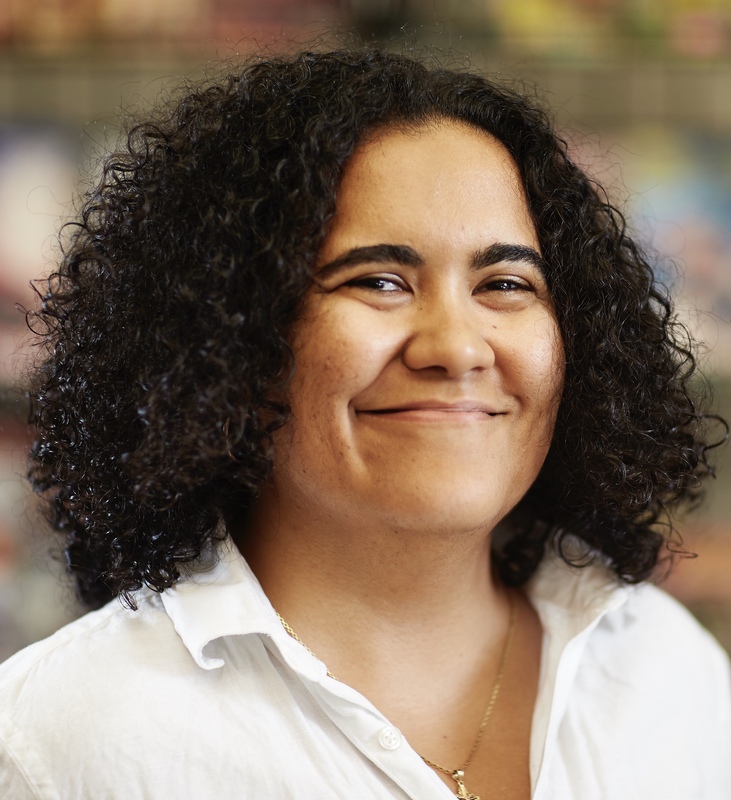 UNLV professor Erika Abad on the history of LGBTQ people in comics, television, film, and other media, and why TV's latest superhero is just what we need.